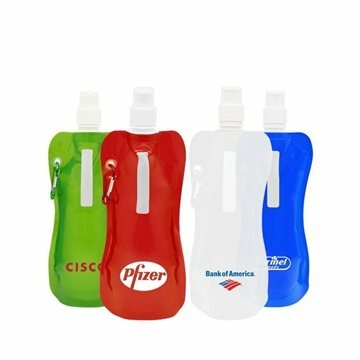 A collapsible water bottle pouch which holds 17 ounces. The cost is completely on point. the quality of the product was great, I thought great for organization. Thank you for a pleasant job. Very nicely done and will also be ideal for our event. It has a very classy design. We were unsure at first, if it would look cheap, but once we received our sample, we knew we found the right item. I got just what I wanted. Loved the color and great cost. You guys did a great job with my logo.